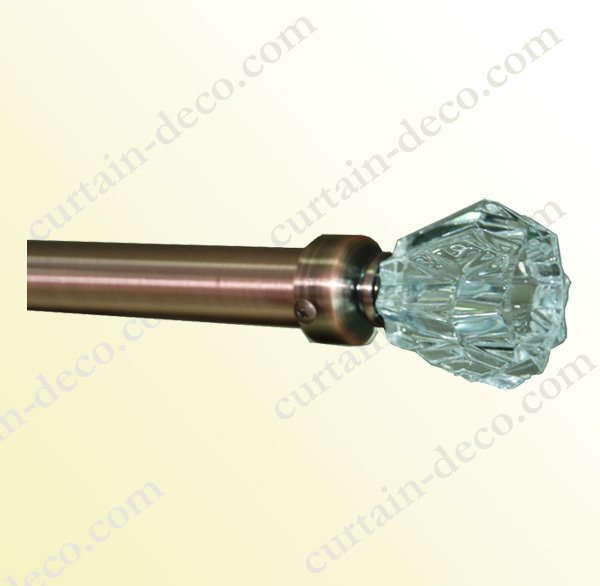 DESCRIPTION：Flower clear finials f curtain rods, Modern style, simple but elegant. Flower Clear Finials for modern life style curtain rods. Special design to prevent the heavy crystal fnials falling off the rod, 100% security guaranteed ! Rods color: best selling is stainless steel. other available colors: Chrome, Antique brass, Antique copper. Package: Sets packing or on buyer's requirement.